Step into the world of Mr.Smiling!! This simple scene contains several interactive opportunities for the user to play with. Move your hands across the flower beds and see them react. Activate the bouncing crystals and see the world grow. 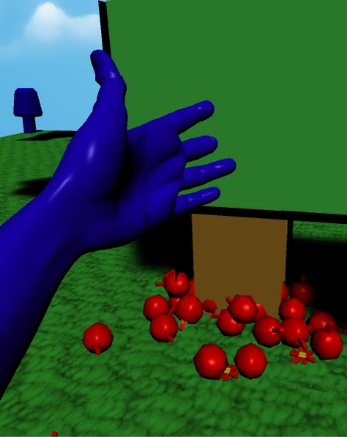 Rustle the trees to generate some apples which you can toy with. Hold the palm of your hand in front of Mr. Smiling and he'll jump on your hand, what you do after that is up to you ! The goal of this work in progress is to create a positive virtual reality sandbox based on the works of http://www.susanleearts.com/. 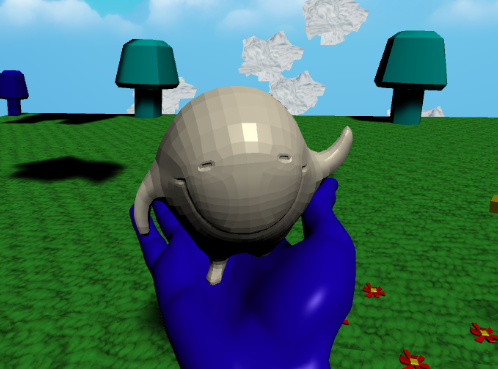 We made this prototype for the 2015 Leap Motion 3D Jam.